And nearly ninety percent of those who did not only voted for Mike Duggan, they spelled his name right. Duggan, the first serious white candidate for mayor of the Motor City in forty years, won by an unbelievable landslide. Duggan finished with at least 46 percent of the vote, to 30 percent for Wayne County Sheriff Benny Napoleon. But in fact, more than half of those who bothered to vote chose Mike Duggan. There were a few thousand misspellings and partial versions of his name, plus one ballot which read simply “Mike Duggan the Whiteman.” What about the barber with the similar name whose last minute entry into the race seemed likely to turn things into a mess? Mike Dugeon, the barber, received a grand total of 17 votes, plus nine more that may have been intended for him. Reports yesterday indicated he was paying less attention to the election since having been carjacked at gunpoint the other day. This primary result does not necessarily mean the ‘real’ Duggan will be Detroit’s next mayor. He will face a different electorate in November, and far more people are expected to vote. It is worth remembering that eight years ago, challenger Freman Hendrix emerged from Detroit’s mayoral primary with a sizable lead over incumbent Kwame Kilpatrick, only to lose in November. But something feels different this year. Detroit voters seem deadly serious and desperate to improve their city. They don’t appear to be interested in race. They want a police force who will come when called and street lights that will come on at night. They want a city that works. They want a mayor who can get it done, and many see Duggan, the man who turned around the troubled Detroit Medical Center, as the one who can do that. 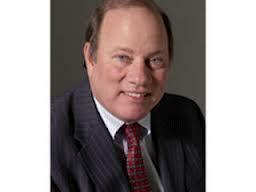 Ironically, Mike Duggan may even have been the beneficiary of a kind of reverse racism. One woman leaving the polls told a reporter yesterday that she had voted for Duggan, partly because she thought a white mayor would be taken more seriously by the state’s power elite. Sadly, she may be right. It is harder to know what to make of the vote for city council. Next year, Detroit returns to a council by district system for the first time since World War I. It seems clear from the primary results that two incumbents, Saunteel Jenkins and Brenda Jones, will be back as the two at-large members. But at least five of the seven districts will be represented by people new to Detroit City Council. And it seems clear that the citizens of Detroit behaved more responsibly in this campaign than the news media, which excessively covered sideshows like Mike the barber and the antics of so-called union activist Robert Davis, a man charged by the federal government with stealing from the Highland Park schools. Detroiters clearly want someone who can get the job done after the emergency manager is gone. Let’s hope that this fall, Duggan and Benny Napoleon both explain how they plan to do just that. 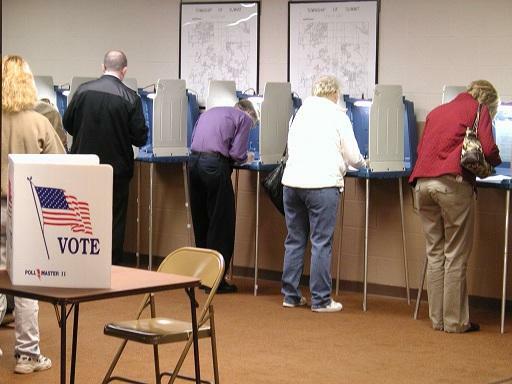 Write-in candidates claimed over half the vote in Detroit’s mayoral primary Tuesday. And that means Mike Duggan’s write-in campaign has made Detroit history. The former Detroit Medical Center CEO’s campaign was well-organized and well-funded. There was just one problem: a court challenge got him kicked off the ballot. But apparently that wasn’t a big problem. Though official results may take some time, Duggan appears to have defeated his next-closest rival, Wayne County Sheriff Benny Napoleon, by 20 points. An interview with Nancy Derringer, a writer for Bridge Magazine, and Karen Dumas, the former chief of communications for Detroit Mayor Dave Bing. It's not uncommon for voter turnout to be lower on primary Election Days than on the big general Election Days in November. But so much is at stake in Detroit's primary today. Voters will narrow the field in races for Mayor and City Council. An interview with Rick Pluta, Lansing Bureau Chief for the Michigan Public Radio Network. There are 14 names on the ballot for Detroit mayor, but one of the widely-seen front-runners doesn't even have his name on it. That would be former Detroit Medical Center CEO Mike Duggan. Duggan is running a write-in campaign. But, in the final weeks of the campaign, another man, a barber in Detroit, decided he too would run a write-in campaign for Mayor. His name is Mike Dugeon. So, this is an election where spelling counts. Rick Pluta, Lansing Bureau Chief for the Michigan Public Radio Network, joined us today to talk about these write-in candidates. Former medical center chief Mike Duggan and county sheriff Benny Napoleon have received the most votes in Detroit's mayoral primary. The results are unofficial, with the top two vote-getters moving on to the November general election. Write-ins made up 52.5 percent of the vote, with 601 of 614 precints reporting late Tuesday. Duggan received 46 percent of the votes. Napoleon was second with 29.6 percent.